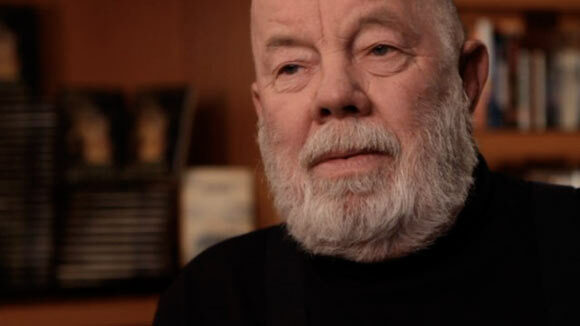 Gary Paulsen 74, a popular writer of young people around the world was born on 17th May 1939 in Minneapolis; Minnesota. Paulsen was a book lover from his childhood. He developed love for reading at a young age. When he got the first book issued from the library he went to the basement of his house and read it without a stop. He then read several books in the basement of his house. Paulsen didn’t have actual family life, till the age of seven. He lived with different people, first with his grandmother then at the age of seven he went living with his mother, who took him to Manila, Philippines, where his father was already living. But every day bickering attitude and sometimes severe conflicts of his parents led Paulsen distressed. Gary could not tolerate his parent’s disturbed life for long time and ran away at the age of 14 and worked on a sugar beet farm. He quit that job and spent the rest of the summer as a “carnie” in the carnival. He came back home and studied high school; graduating in 1957 with a D- average. He could not study more than five months at a single school. Gary Paulsen acquired adventurous life throughout his youth time. He then joined the army and was honorably discharged after 3 years. He experienced rigorous chores on different farm houses, followed by miscellaneous jobs like, working in a Construction Company, a helping hand at the ranch, truck driver, sailor and competed in Iditarods twice. Some accounts of his life can be collected in chunks and pieces in Guts: The true stories given in Hatchets and The Brian Books. Gary Paulsen had a narrow escape, he wrote that while strolling one day he reached the edge of the Dam wall and fortunately saved. Paulsen created most of his stories, based on his life experiences. Eastern Sun, Winter Moon, An autobiographical odyssey portrayed some very shocking and appalling sides of his life. The Quilt, a much known book by Paulsen contained many memorable moments of his life. In this book he tells about his golden days in his grandmother’s house when he was six years old. Paulsen wrote consistently for hours and hours that’s why we have a great collection of his books. He wrote more than 175 books and also more than 200 articles. He believes in great potential of youth. Paulsen acclaimed as a writer for young adult readers. His three novels Hatchet, Winter Room, and Dogsong are very famous amongst young generation across the globe and also won Newberry honor book medal. Gary Paulsen and his wife Ruth Wright Paulsen live in New Mexico. His wife is an artist who illustrated cover pages of many of his books and novels. Brian’s Saga, Mr. Tucket Saga, Murphy series, Alida’s series, World of Adventure, Tales to Tickle the Funnybone, and Culpepper Adventures are universally acknowledged work of Gary Paulsen.